MAR is releasing their Pier Building Set at Neo Japan. 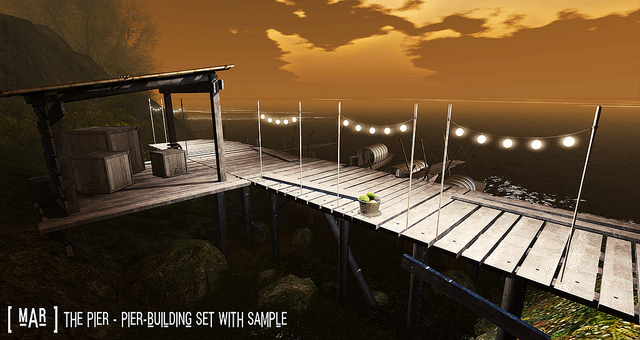 The set includes a modular pier building kit, a boat and some miscellaneous props/lights. This set is beautifully crafted and perfect for any water front! Also includes 5 PG couples animations. Please note: this event opens to the public on 31 March.